Google App’s APK teardown reveals new features like Eyes, At a Glance, Bisto and more in making. 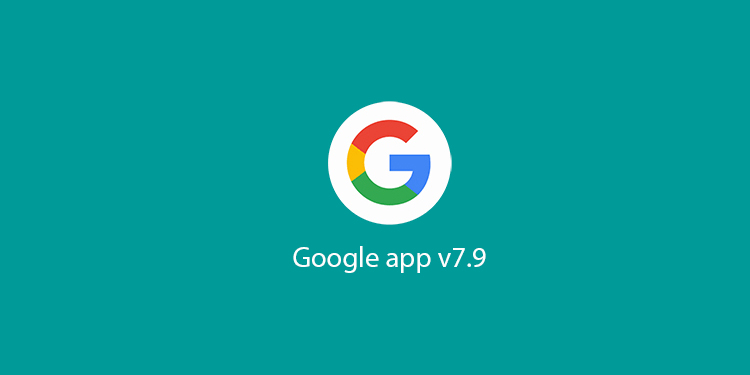 Google has started rolling out updates for its new version of the Google App, v7.9. Though the update doesn’t show any significant changes on the surface and a generic user might not find any difference upon installation, an internal teardown of the APK did reveal a lot of new features and services; some of which were introduced all the way back in the Google I/O developer conference, held earlier this year. Now teardowns are nothing but going through codes and strings in the application packages, revealing features that might or might not go live. Eyes might be Google Lens in making. Google’s powerful AI driven service is supposed to be a super-powered version of Google Glass. Once released, users would be able to use their cameras (in integration with Google Assistant and Google Photos) to point it to different things or objects, and get specific suggestions based on that. Google Lens uses deep machine learning to recognize things that it is being shown and then after recognizing, it offers actions and returns results based on what it detects or what it sees. The main elements to this one are a prompt asking users to “tap on what you’re interested in” and a warning message about the phone being offline and unable to do anything at the moment, which means the feature clearly relies on a connection to Google’s servers. At a glance (internally famous as Smartspace among Google employees) is a feature that would use your personal information stored in Gmail, Calendar, Maps, and other connected Google platforms, to put up a “at a glance” interface, wherein you can review your most important information about your day. The current resources describe the settings, in the form of a button, which would allow you to enable or disable the settings for different items, including events on your calendar, unusual traffic on your regular commute, and information about your upcoming flights. This feature would allow the users to save all the webpages and images that they access through the search panel, in their Google app. Right now users don’t have any straightforward procedure to view the webpages visited through the search bar, again. They can either download it for offline viewing purposes, or copy the link and then share it in an app to keep a note of it, or open the link in an external browser to bookmark it. To simplify this, Google might come up with Favourites (which would pretty much work like bookmarking a webpage), to allow the users to create lists where web pages and images can be saved for later. Google has been working to provide podcast support for quite some time now, and in the latest iteration of Google App, a piece of code can be found that confirms the development of this feature. According to the string, “Recently played” podcast episodes will be listed, allowing the user the option to go through the list of recently played podcasts. Now this is a tricky one. The code snippet found includes a “Finish headphones setup” call. Now Bisto is a speculated device that would feature Google Assistant onboard. But what is not confirmed is the fact if Bisto is actually a Google headset featuring Assistant, or would it allow just any headset to work in sync with Assistant, after a series of configurational steps. Now what do we do? Wait for these features to go live.